The National Democratic Congress’ (NDC) Dr. Zanetor Rawlings, who is also known by her people as Osu La’gata because of her beauty and resilience, has won the parliamentary seat in the Klottey Korle constituency of the Greater Accra Region. 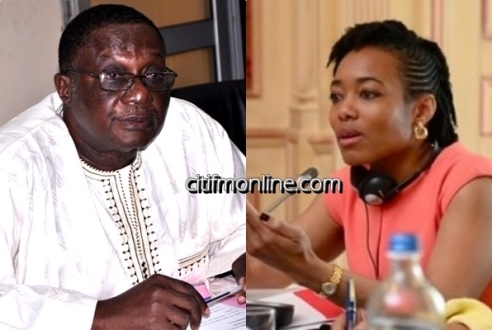 The daughter of former President Jerry John Rawlings polled 33,609 votes to beat her closest challenger, Lawyer Philip Addison of the New Patriotic Party (NPP) who polled 29,122 votes, according to provisional figures from the Electoral Commission (EC). An independent candidate and native of Osu in the constituency, Nii Noi Nortey, was expected to put up a competent third front but only came out with 3,911 votes. The Great Consolidated People’s Party and Convention People’s Party fielded Joshua Kofi Breint and Godwin Opare Addo who polled 0 and 194 votes respectively. Dr. Zantor’s road to Parliament was not without its hitches following her triumph over the incumbent NDC MP for the area Nii Armah Ashitey. Her victory over Mr. Ashitey in the NDC primaries was followed by a suit against her and the Electoral Commission at the High Court alleging that Dr. Rawlings was not eligible to contest the Klottey Korle primary in November 2015, because she was not a registered voter. But the case found its way to the Supreme Court where it, by a majority decision, cleared Dr. Zanetor to contest the parliamentary election for the Klottey Korle constituency on the ticket of the NDC in the November polls. The court, in a 4-1 majority decision, held that the constitutional provision that enjoins one to be a registered voter before contesting as a Member of Parliament (MP) takes effect when the EC opened nominations for people to contest public elections and Dr. Zanetor was able to register as a voter before then. The court further ordered the High Court hearing the suit against Dr. Zanetor to determine the case based on the interpretation that it had given.